Property and Casualty insurance can be purchased using one of the more than 30,000 insurance agencies in the country, most however will not take the time to learn and understand your business, they simply provide an insurance product. At Schauer Group, we analyze risk and recommend coverage based on overall value and your company needs. We represent the top-rated property and casualty insurance companies. Throughout our history, we have developed solid relationships with these insurance providers. Those relationships allow us to provide a wide variety of coverage and price options for our clients. We work to identify your exposures, make recommendations on how to address those exposures, and create a competitive insurance environment—one where both coverage and price targets are achieved through insurance-company competition. 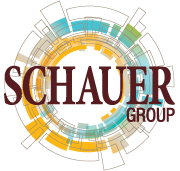 A Schauer Group risk management client receives transparency, a consultative relationship and professional risk analysis. At Schauer, our risk management process is put to work for you to ensure that we understand your business and therefore can create value, provide a long-term partnership and be highly adaptable to the ways in which your business will continuously grow and change. Property Insurance: Whether you own your building or lease an office, business property insurance protects your physical assets; also includes equipment breakdown, business interruption, builder’s risk, installation floaters, global transit and more. Liability / Casualty Insurance: We’ll find the right coverage for you to handle any third party damages or settlements due to accident or injury. Trucking/Commercial Auto/Fleet: From a few company cars to an entire fleet, Schauer Group will help make sure that your team and the vehicles required to run your business are protected on the road. Workers’ Compensation: Schauer helps you to protect your employees and your business from work-related accidents and death. Cyber Insurance: In this day and age of rapidly changing technology, protecting your business from the risk exposure stemming from cyber crime and data security breaches has never been so critical. Schauer can help you assess the risk and customize a policy to help protect your data. Crime & Employee Dishonesty: Let Schauer help you to protect your company from intercompany theft and employee dishonesty or fraud with Crime & Employee Dishonesty coverage. Professional Liability / Errors & Omissions / Malpractice: Recommended for professionals who offer advice and services to offer protection from bearing the cost of defending against claims of negligence from clients. Product Recall/Withdraw: Beyond standard product liability coverage, Schauer can help you navigate this specialty coverage policy designed for businesses who manufacture products for the loss created by product recall or withdrawal from the market. Environmental Insurance: Coverage for loss or damages resulting from unexpected releases of pollutants typically excluded in general liability and property insurance policies. 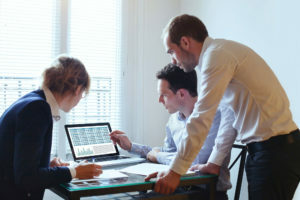 Policy Design / Program Design: The Schauer team will utilize your risk profile to identify which policies you need—and those that you don’t—in order to design an insurance program that is customized for your business. Client Exposure Analysis: A key component to our greater risk management process, we identify the areas in your business where you are most exposed to risk and make strategic recommendations to mitigate the risk exposure. Coverage/Policy/Premium Negotiation: Once we’ve assessed your risk and identified the policies for your unique line of business, Schauer works on your behalf to negotiate the coverage and premiums with the insurance companies. Insurance Coverage Placement: Schauer works on your behalf to secure your coverage. Insurance company relationship management: Schauer maintains strong relationships with our insurance providers to ensure that you have the best coverage at the best price. Policy Services: Schauer helps manage documentation surrounding your policy, including endorsements, billing and invoicing, client records and forms. 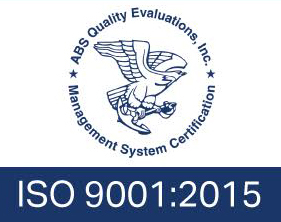 Certificate Management: Schauer will meticulously handle the certificate management and tracking, helping you maintain documentation related to your suppliers insurance.